If you are looking for a unique and classy way of having fun with shoes then you may want to consider these heels. The strap sandal design oozes femininity and elegance. 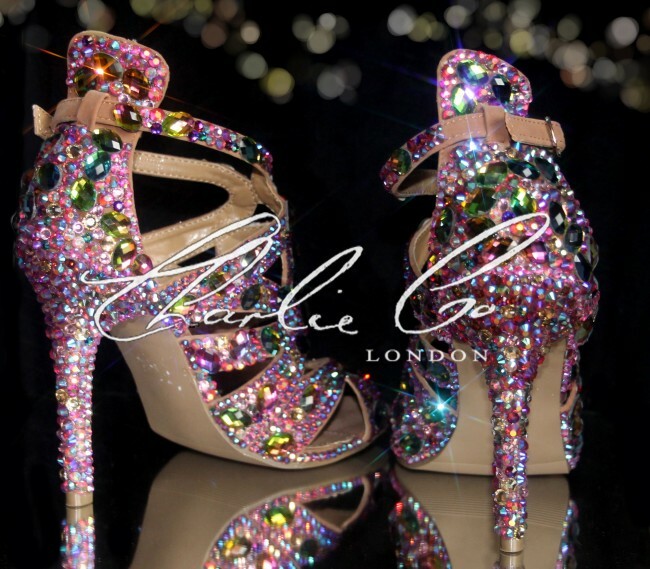 They are carefully embellished with multicolored crystals; pink, green and peach that flow to cover the entire surface of the shoe including the heel. These are then paired up with large vitrail stones which creatively create a visual appeal. The studded 4-inch heel guarantees your comfort at all times.